No matter what you hear about newspapers in general, campus newspapers specifically are still an integral part of the college environment. Did you know that nearly 1,800-plus college newspapers are still publishing? 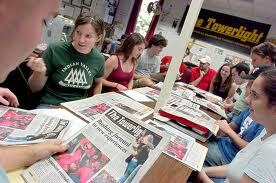 Did you know that advertising in college newspapers means reaching millions of students every year? Tip #1: Be consistent. One ad won’t cut it. Whether you’re interested in community colleges, four-year schools, or business school newspapers, always think in terms of building your brand over the semester. This is especially true if you are a new company entering the college space with little to no name recognition. Planning out all of your advertising for the school year in one buy will also allow us to negotiate frequency discounts and better rates. Monday is good if you are looking to reach college males. Weekend sports are usually summarized on Monday, especially during the college football season. Tuesday is a great day for classified ads, especially financial or business-related classified ads. Wednesday is popular for food and restaurant specials, coupons, and inserts. Thursday & Friday are good days if your business picks up on the weekends. Bars, nightclubs, movie theaters, concert venues, and other types of weekend entertainment do well on these days. Tip #3: Use color. You should also inquire about adding one color. The use of color will make your ad pop from the sea of black and white on the page. Use of color might also allow you to run a smaller, more economically sized ad while still pulling in readers. Some say the use of color can nearly double your response rate on offers. We do know that use of color often results in premium page placement (i.e., page 2, back page). Tip #4: Position your ad. Most college newspapers will consider ad positioning requests. There is no guarantee that they will accommodate the request, but it never hurts to ask. To gain maximum exposure, request that your ad run in the popular sections of the paper (i.e., Sports, Crossword, Sudoku, or front half of the paper. At a minimum, ask that your ad be positioned above the fold. Tip #5: Test your call to action. Have a clear call to action and a reliable way to track it. Test your message in multiple papers over time to see how it compares with other methods or other papers in which you are running ads. Tip #6: Keep it simple. Don’t try to say too much in your ad. Most people skim and will glance over your ad quickly. Stay focused on your goal for the ad, and make sure it clearly shows the product/service being offered. Make sure your offer is front and center, and clear state what students should do to buy it or learn more. Tip #7: Ask about unique advertising options. 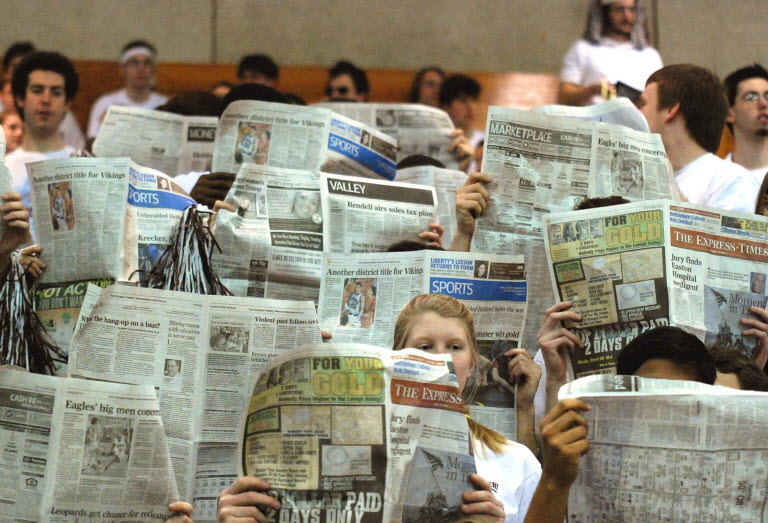 Many college newspapers are open to unique ad sizes or custom sponsorships. Things like small front-page ads, stickers, flat insert samples, or sponsoring the Sudoku puzzle are possible. This method of advertising can be refreshing and can position your brand in a new light on campus. Tip #8: Special issues. Dig into the campus a bit by looking at the school calendar, upcoming athletic events, annual traditions, career fairs, holiday parties, etc. Many college newspapers have “special issues” scheduled for these types of traditions and holidays. These issues tend to be well read, so space fills quickly. If you are interested in advertising in college newspapers, Campus Media can help. We have been helping companies and advertising agencies plan and buy advertising in campus publications for more than a decade. Contact us today to build a plan that works.